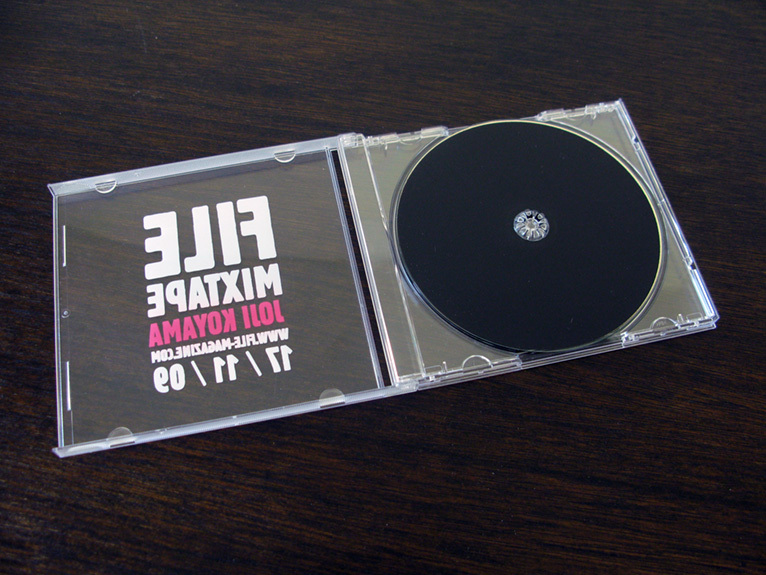 After much great feedback for our Newsletter and Mixtape we decided to take its existence from digital to print – something we really praise here at FILE. 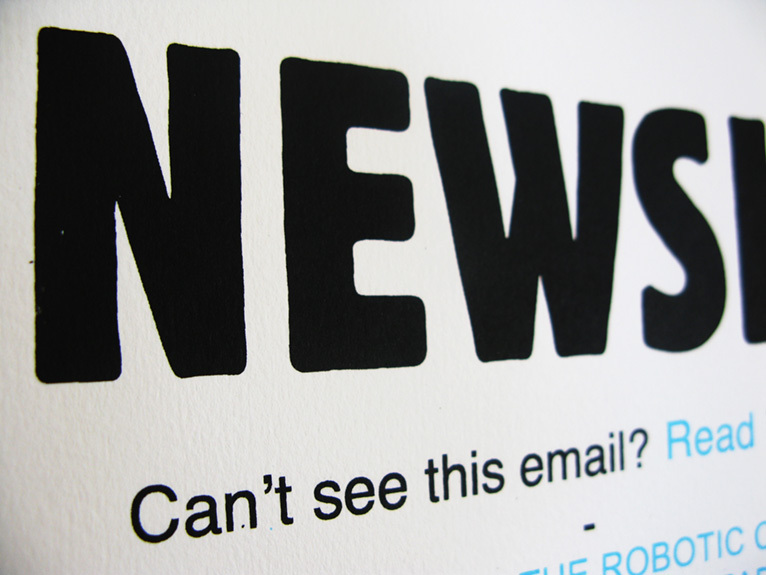 We screen-printed the October 2009 newsletter alongside the November Mixtape by director Joji Koyama. 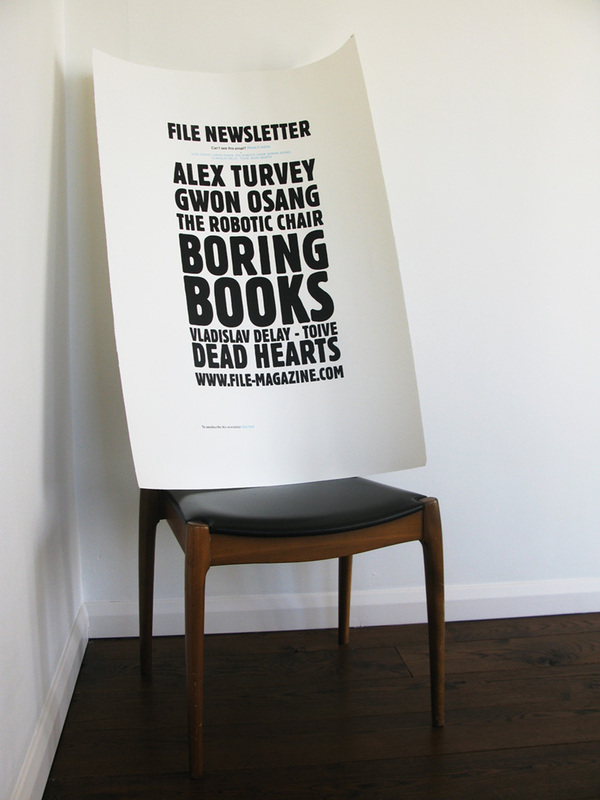 The newsletter has been recreated as a B1 (700x1000mm) poster, two colour print on Fabriano Tiepolo 290 gsm stock. 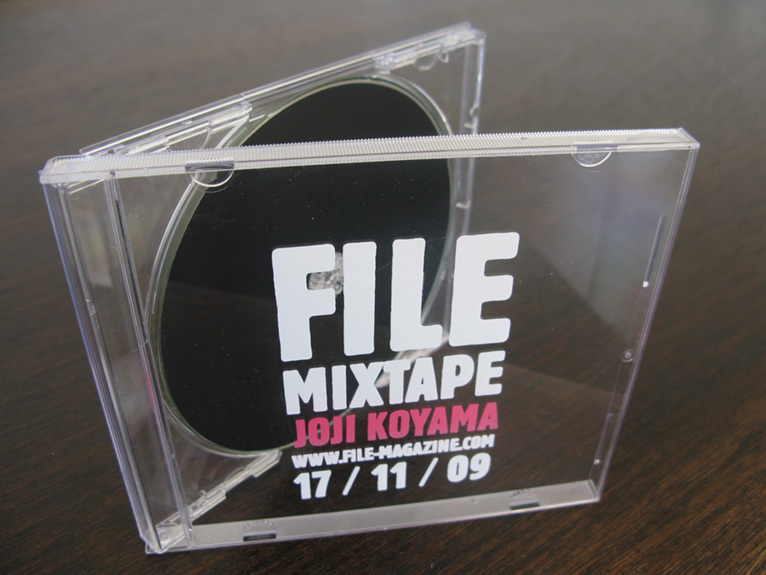 Joji Koyama’s Mixtape has been screen-printed on a clear jewel case and sports a UV colour and believe it or not, the CD itself is screen-printed as well. 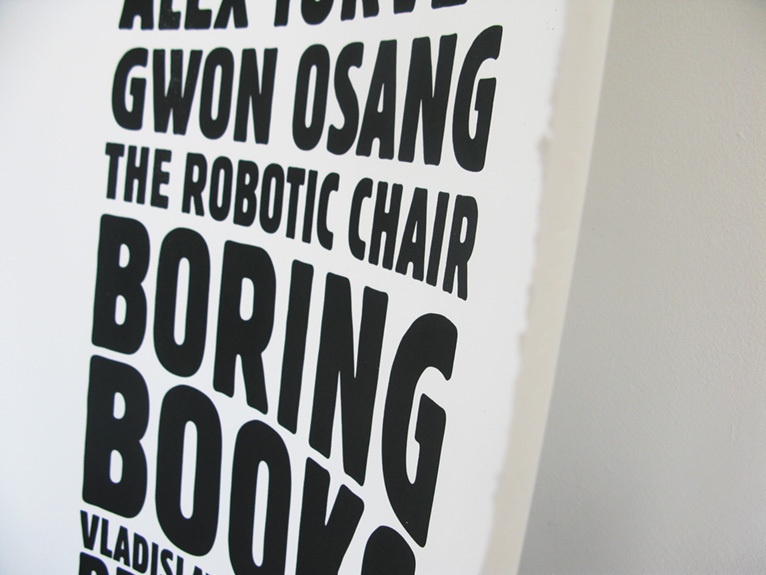 We have two posters and two mixtapes that we would like to swap. 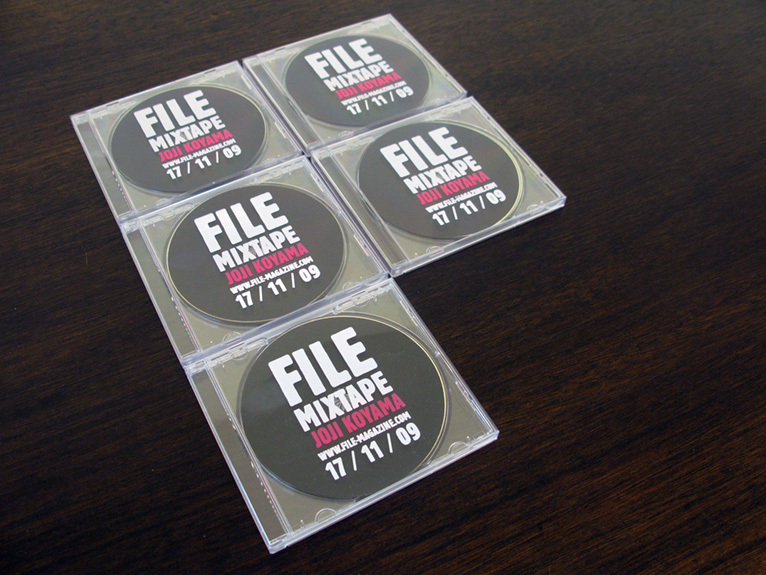 So if you would like to receive a copy, send us your personal Mixtape, could be any form, and we will pick our favorite two and feature them here on FILE. Please send your contribution to the address below before the 16 April 2010.